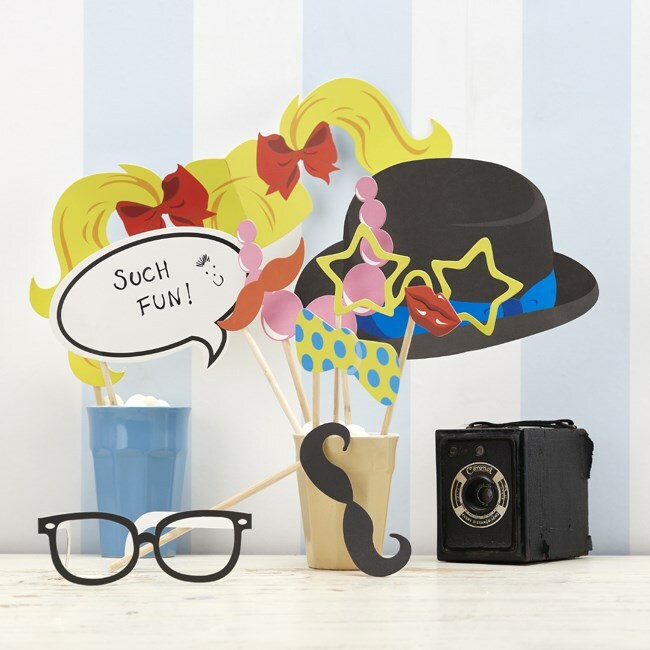 DescriptionCreate fun photographic memories with our exciting photo booth kit. Each kit includes 10 props made from sturdy card on sticks. Including bowler hat, speech bubble, funny blonde pigtails and many more. Each pack contains 10 props 20cm high including stick. 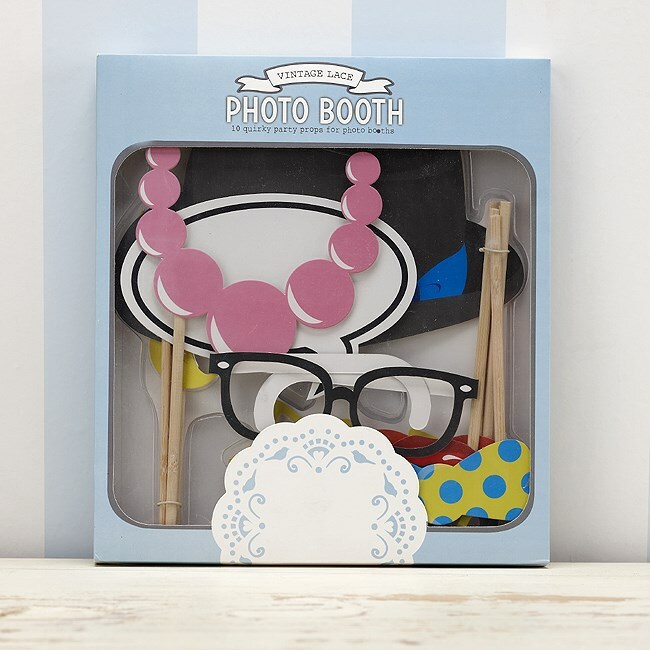 Create fun photographic memories with our exciting photo booth kit. Each kit includes 10 props made from sturdy card on sticks. Including bowler hat, speech bubble, funny blonde pigtails and many more. Each pack contains 10 props 20cm high including stick.